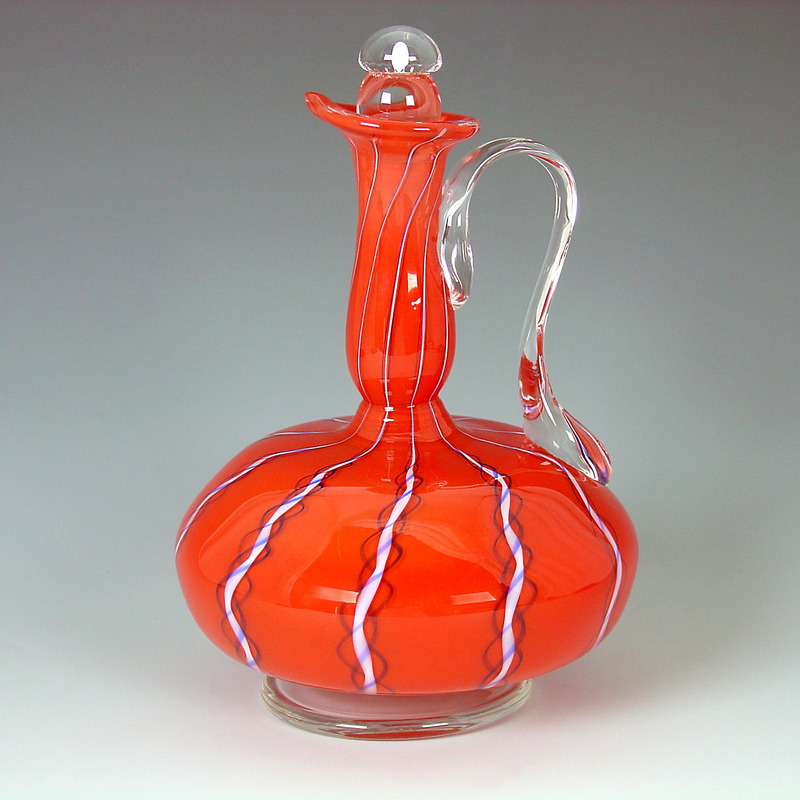 Off hand/freeblown Red glass vessel with glass stopper. Can be decorative or functional, with the ability to hold liquids such as syrups, creams or oils. Richly colored with unique latticinio decorating. 5.00" D x 6.5" H. OOAK. Signed. WYSIWYG.